Now that you have built rental premises and got many tenants who are interested in renting spaces, you should think about how you will collect their rental registration data. Usually, there are two primary ways to approach this issue: you can buy a rental management system or download free sample forms to do the same task. The former often expensive to acquire, difficult to learn and master, which makes the Application Forms the best files to use to manage your rentals. 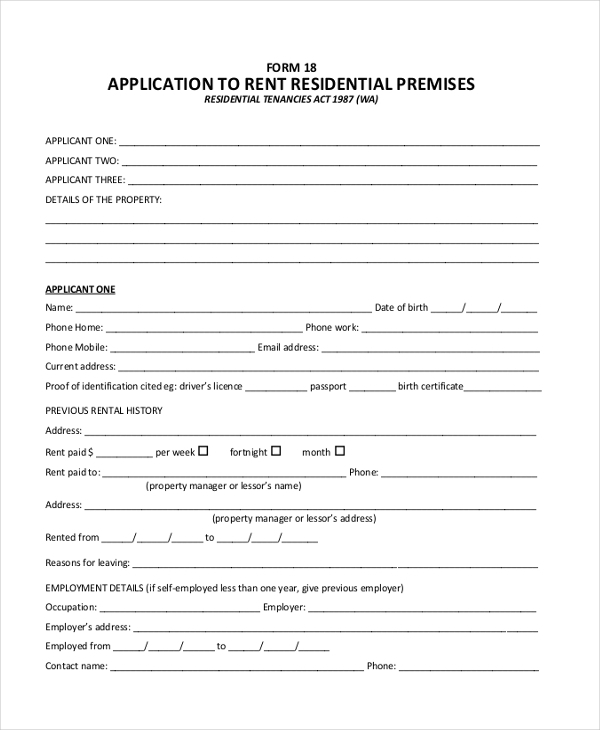 This is a standard rental application form that you can use to register new tenants before they occupy your premises. The instructions are clear, and not a lot of spaces to fill, really. There are clients who can only rent property on credit for reasons well know to them. 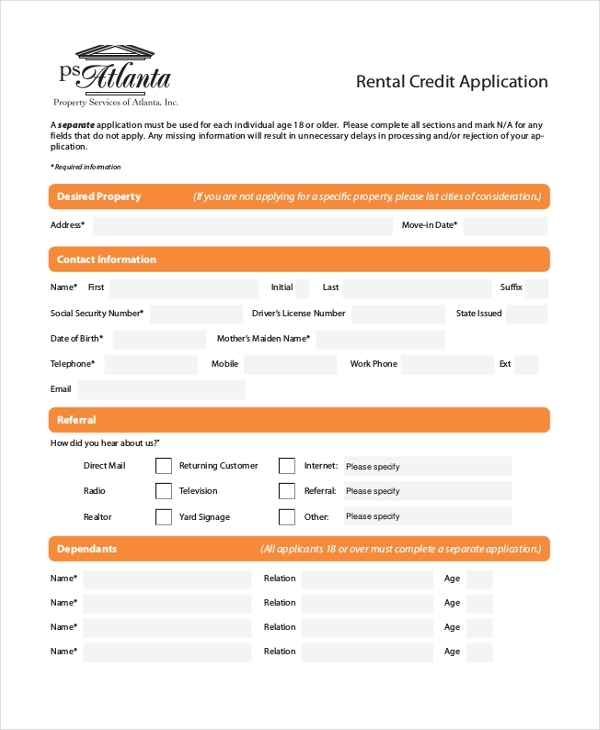 If you accept clients who would like to rent on credit, you can use this form template to collect their information. This is a print-ready, easy-to-edit PDF file that you can use to register the tenants who are interested in renting your rental property. The sample file is short, it should not take long to go through it. 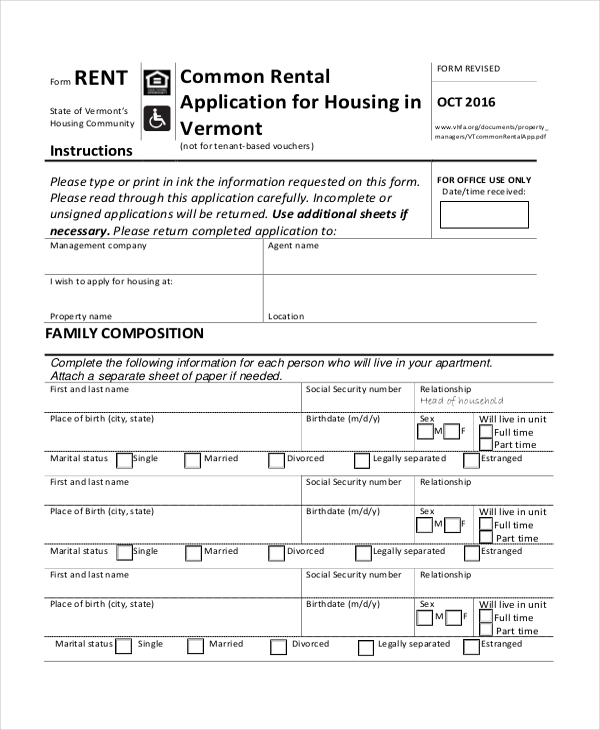 Apartment Rental Application is a free template that you can download and use without spending a dime. The template is easy to customize, and the content is also editable. 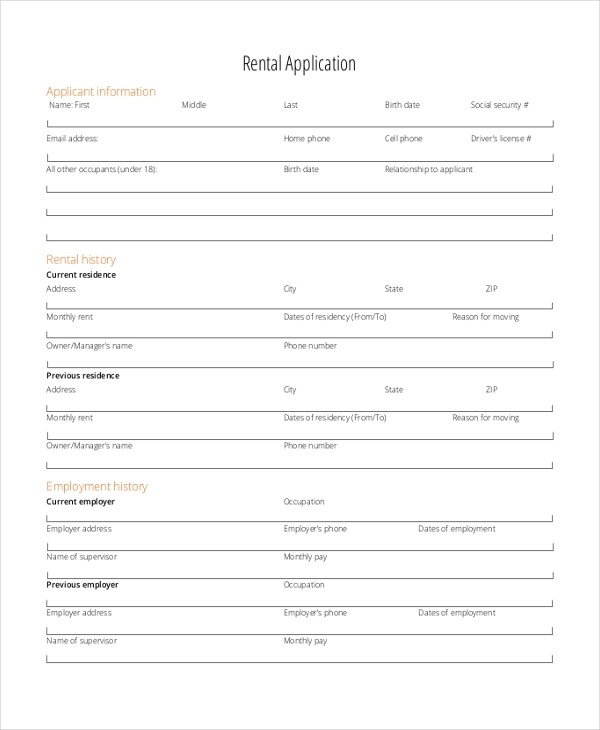 This is a standard rental application that you can use across all your property. It is suitable for house rental, commercial building rentals, as well as equipment rentals. The template is easy to edit. The premise for rent can earn you a lot of money, but there must be policies to run the business, one of which is to register clients. You can use this template to register as many clients as possible. 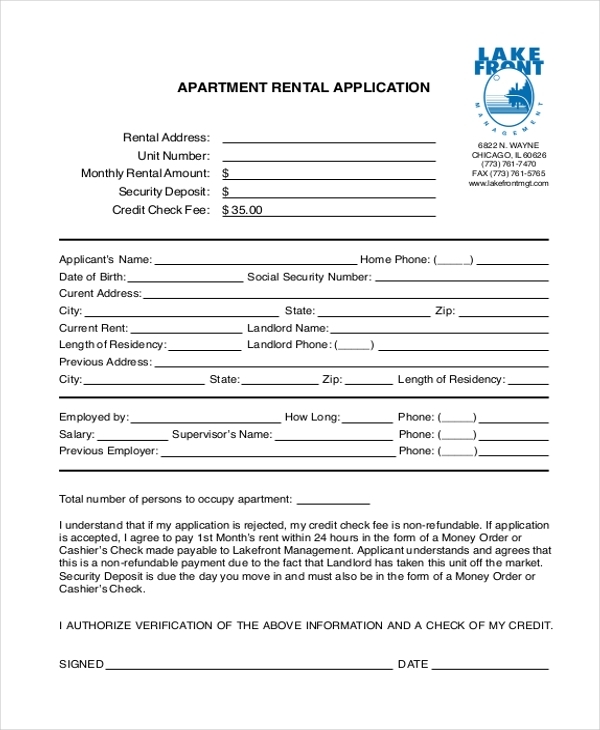 One of the best things you can do to secure your property is to make sure that potential clients use this form to express their interest in your rentals. The custom terms and conditions of rentals are standard and agreeable. Before you lease your pushcart to anyone, you need to make sure they are interested in the deal you are about to make. 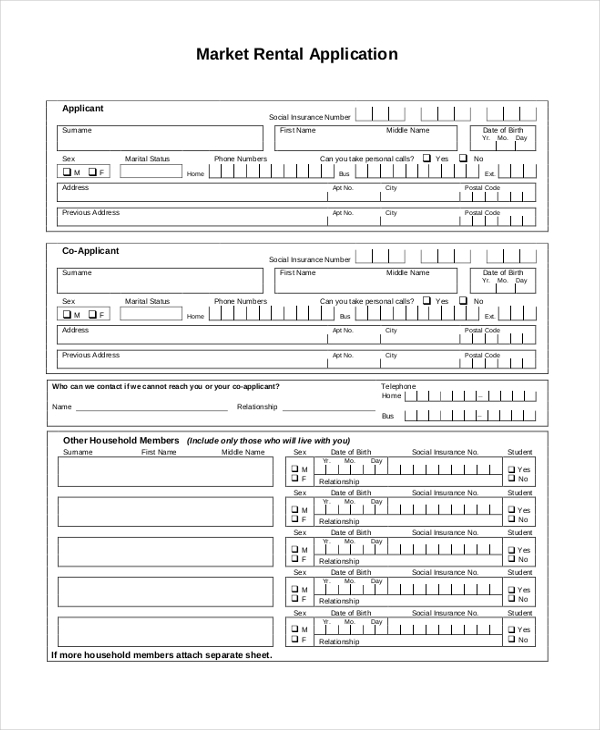 The best way to do this is to use this form and have them register with you. 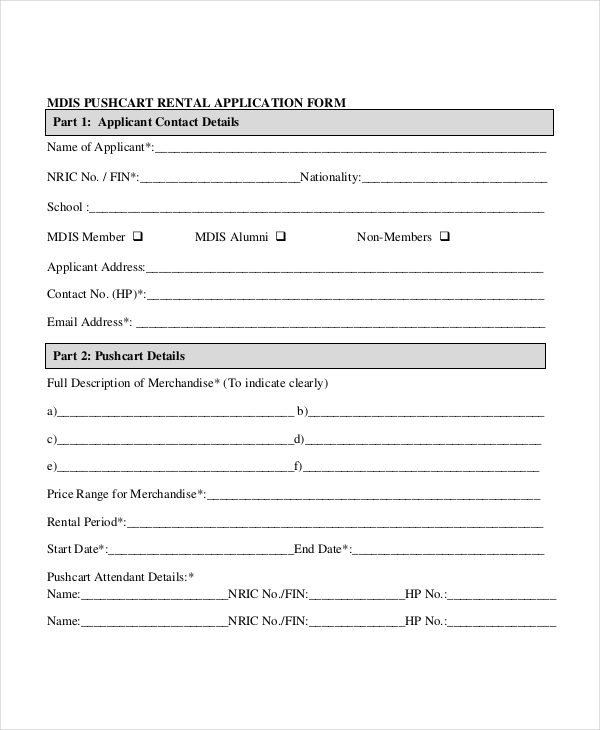 Commercial rentals often require a more detailed registration form. 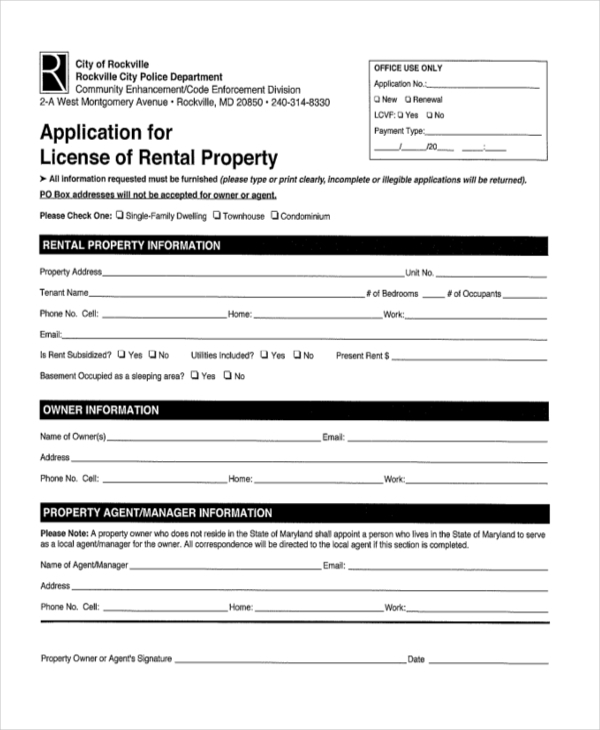 Because this form perfectly suits the commercial rental standards, you can make it the primary rental form for all clients interested in your commercial properties. If you have never designed a sample rental application before, or you simply don’t have the time to create one yourself, you can download the sample, and then customize it to your own needs. 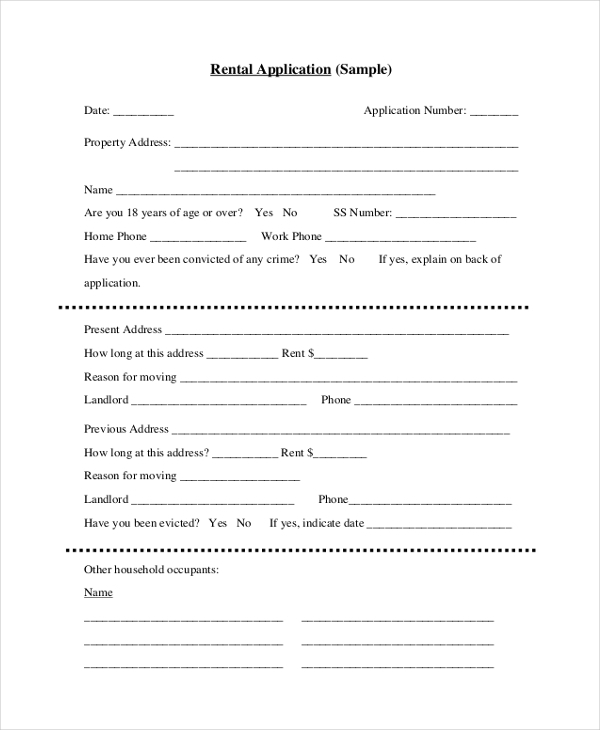 Download this template and have clients interested in your rental services fill it out. The PDF file is an easy read, ready for print, and the design does not require any customization. Who Should Use Rental Application Templates? Who are The Target Audience of The Sample Forms? 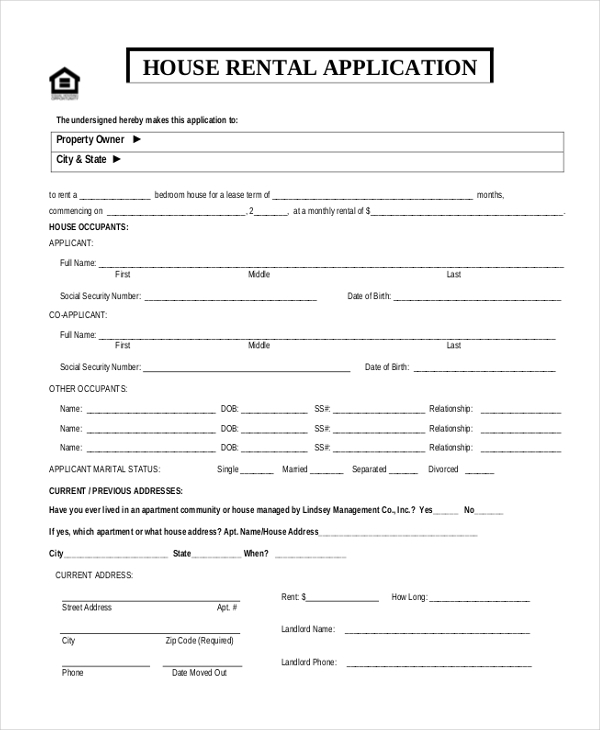 What are The Benefits of Rental Application Forms? One of the main advantages of these forms is that they eliminate the need for complex and expensive rental management systems. Unlike software that needs the knowledge to operate and 50+ documentation, you can download the template and fill out the relevant data on the fly without having to worry about messing things. The forms have been around for over half a decade, and they have been the best replacement of the expensive and unreliable computer software solutions. As long as you know how to edit and customize files in Adobe Acrobat and Microsoft Word, it should not be hard to edit these files and key in data whenever the need to do so arises.